The Siberian Husky is very similar in looks to the Alaskan Malamute, yet somewhat smaller in build and not quite as bold. Still, he needs a strong-willed owner who will stay in control. This dog loves to roam and explore, so he needs a nice big yard. The Sib was developed in the isolated Yakutsk region of extreme northeastern Siberia by the Chukchi people, specifically to be an endurance sled dog as it was their only mode of transportation. These semi-nomadic people needed a dog that was capable of traveling great distances at moderate speeds, pulling well-loaded sleds in chilling conditions while expending a minimal amount of energy. 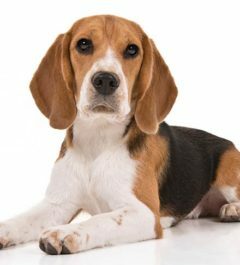 It was the Chukchi’s custom to castrate all but the best lead dogs, to promote genetic improvement across the generations. Moreover, when the dogs were not working with the men, they were cared for by the women. This, in turn, brought them in close quarters with children, and only non-aggressive, well-tempered males and females were favored. 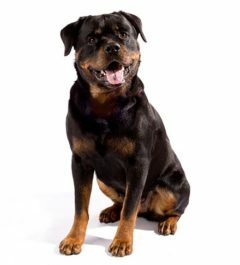 They bred only the best of the best, without cross breeding to other breeds, and kept their pedigrees pure for at least 3000 years. At the start of the 20th century, Americans in Alaska started to hear about a superior sled dog in Northeastern Asia. By 1909, many Siberian Huskies were imported to Alaska by Charles Fox Maule Ramsay and others, coming from Siberia across the Bering Strait. The first Sib racing team competed in the grueling All-Alaska Sweepstakes Race that year and caused quite a sensation among sledding enthusiasts. Ramsay’s team was driven by John “Iron Man” Johnson and won the 400-mile race in 1910. Over the next decade, sled racing enthusiasts, especially the legendary Norwegian musher Leonhard Seppala, bred and raced Sibs, winning virtually all of the races in Alaska. In 1925, a severe diphtheria epidemic swept the remote city of Nome, Alaska. Seppala and other sled dog drivers coordinated relays using their Husky teams to transport urgently needed antitoxin and other medical supplies more than 600 miles. This historic “serum run” quickly brought the Siberian Husky into the public’s attention across the United States. Seppala and his team participated in invitational races in New England, and the breed’s unique capabilities and endearing temperament rapidly captured the respect of sportsmen and women nationwide. Even today, a statue of Balto, the lead dog of the team that took the last leg of the serum relay, sits in Central Park in New York City, dedicated to all dogs who participated in that heroic relay. 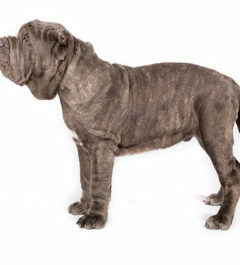 The breed was accepted by the American Kennel Club in 1930. A number of Sibs were assembled at the Chinook Kennels in New Hampshire and used on the Byrd expeditions to Antarctica. Siberian Huskies also were used by the US military during World War II as part of its Arctic Circle search-and-rescue unit. Today’s Siberian Husky retains is traits of being agile and athletic, smart and strong, gentle and versatile and almost tireless. It makes a wonderful family companion and is excellent with children and with strangers alike. It thrives in urban and rural settings, so long as its desire to roam can be effectively contained. Finally, the Sib excels in the show ring as well as at many performance disciplines, of course including sledding. Siberian Huskies are not particularly good watch dogs, because they want to befriend everyone they meet. They love to roam and are full of energy and independence. This breed gets along well with other Huskies, but they need to be trained carefully if they’re to be kept with other household pets. They will not get along with cats or other small animals, though they do well with children. Coat is double-layered and medium-length. The guard hairs of the outer coat are straight and somewhat smooth lying. The undercoat is soft and dense and of sufficient length. Its coat needs brushing one or two times a week, daily during periods of heaviest shedding. 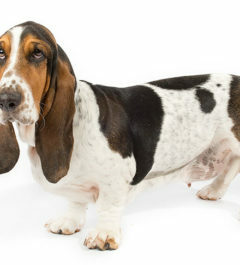 This breed is relatively healthy, but some have heart disease and eye problems, along with dermatitis. This breed is very intelligent and independent. Handlers should take this into consideration and use patience and understanding during training. 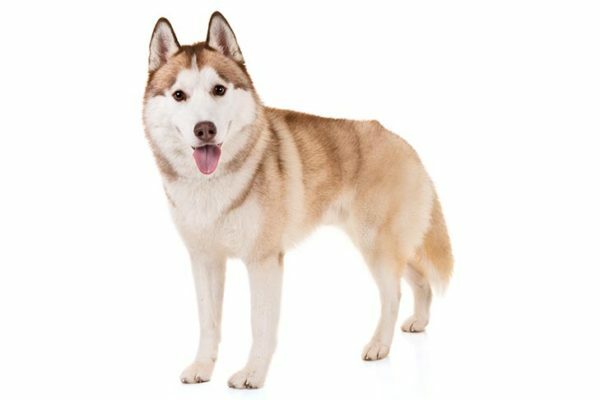 The Siberian Husky needs to be involved in physical activities and requires a well-fenced yard. If they are not kept active, they can be very destructive and noisy. Fats and protein are the most important sources of energy to a Siberian Husky. You can feed your Husky a top quality dry dog food, but feel free to is critical to supplement with ground chicken, fish, liver or other meat products.